It is well-established that diabetes and oral health are connected, with a bidirectional link between the two; people with diabetes are at a higher risk of oral complications and, at the same time, poor oral health can aggravate diabetes. Looking after your teeth and gums is always important, especially if you have diabetes. We same expert advice that will help live a healthier life with diabetes. There is a two-way relationship between diabetes and oral health. Poorly controlled blood sugar increases the risk of oral disease. Periodontitis and gum disease has been shown to make it more difficult to control blood sugar correctly and increase the risk of developing diabetes-related complications. 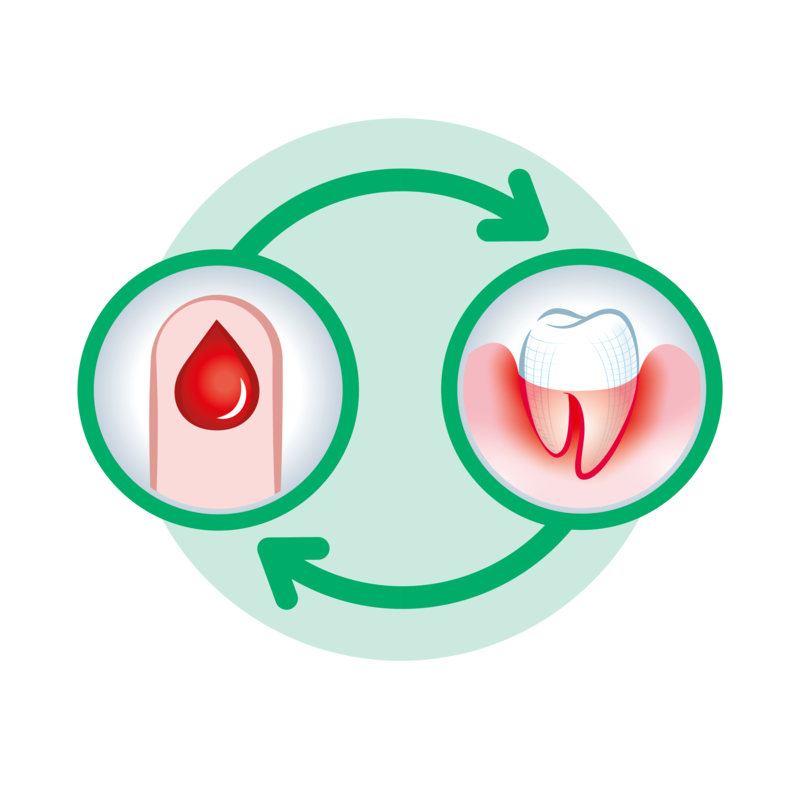 Understanding this bidirectional link and proactively managing your oral health plays an important part in living healthier if you have diabetes. Diabetes levels around the world have risen dramatically in recent years and South Africa is no exception; it’s a leading cause of death and affects an estimated 7% of adult South Africans. There are two types – diabetes type 1 and the more common diabetes type 2. Both types can increase the likelihood of developing oral health problems, including gum disease (gingivitis and periodontitis), tooth decay and bad breath. It’s estimated that 42% of people who have diabetes experience xerostomia (dry mouth), reduced saliva flow. Early gum disease, known as gingivitis, can be prevented with an effective daily oral hygiene routine to remove any plaque build-up. If not treated, gingivitis becomes periodontitis, where plaque below the gum line causes severe inflammation and eventually tooth loss. About half of adults have periodontitis to some degree. Diabetes and gum disease are both inflammatory conditions. The systemic inflammation that occurs in periodontitis contributes to the inflammatory burden of people living with diabetes. People with periodontitis have been shown to be more likely to develop type 2 diabetes. People with poorly controlled blood sugar have increased levels of glucose in the saliva. This creates an ideal breeding ground for the oral bacteria that cause gum disease, bad breath (halitosis) and dental caries (cavities). People with periodontitis, even those who are not diabetic, have a great risk of developing poor glycaemic control. When bacteria from diseased gum tissues enters the blood stream it can trigger an immune response which causes insulin resistance, making blood sugar levels harder to control and more likely to develop diabetes-related complications. People with diabetes can also tend to have a lower resistance to infection and heal more slowly, which can also further exacerbate gum problems. Regular visits to the dentist and improved oral care will help you live healthier with diabetes. Once you are diagnosed with diabetes, schedule a dental appointment right away and continue to go for regular check-ups. A professional cleaning by the oral hygienist every six months will remove plaque and tartar (hardened plaque) that can’t be removed by simply brushing. 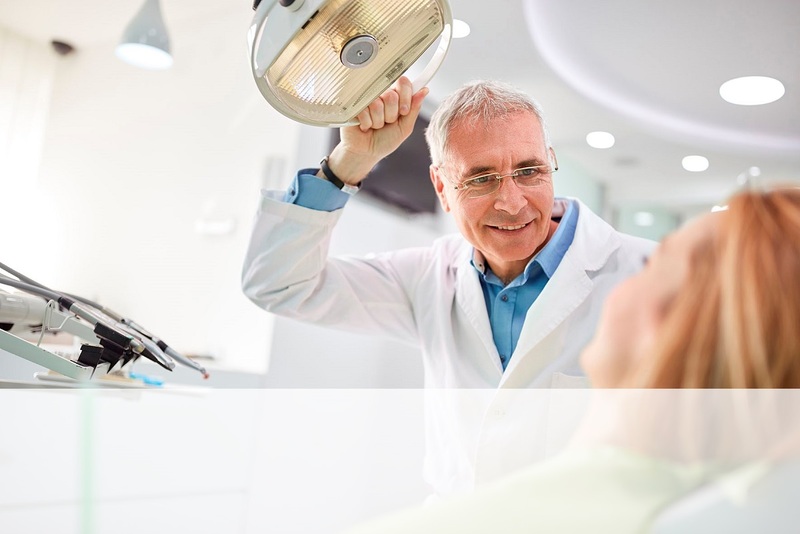 Regular visits enables your dental team to catch any oral problems early. It’s important to let your dentist know about your diabetes diagnosis and highlight any changes in your medical care. Likewise, keep your doctor informed of your oral health status especially if you require oral surgery. If your diabetes is not under control, periodontal surgery and implant therapy should be delayed until glycaemic control is achieved. A meticulous daily oral care routine is the best way to prevent oral health problems and is more important than ever if you have diabetes. It’s as simple as 1, 2, 3. The most important part of your daily oral care routine is to brush the teeth correctly at least twice a day. Brush for two minutes each time, cleaning every tooth with a gentle, circular motion. Use either a manual brush or a powerbrush as long as it has soft bristles. Brushing too hard can damage your gums. Clean in-between. Interdental cleaning is critical for people with diabetes, to remove plaque from between the teeth and under the gumline. You should clean between the teeth at least once a day, using floss or another interdental tool. If you find using floss difficult to use, look for Sunstar GUM’s quality oral care tools, designed to make cleaning in-between easy for everybody. The range includes floss on a handle, tiny interdental brushes and Soft-Picks Advanced, the very latest type of toothpick. If you’re not sure which tool or size to choose, ask your dental professional for advice. For step-by-step instruction on how to floss correctly watch our video. Rinse: To reach areas that brushing and floss don’t reach, rinse with an alcohol-free mouthwash like Sunstar GUM Paroex mouth rinse, which contains anti-bacterial CPC and chlorhexidine for effective plaque prevention. Your gums may bleed a little if you start to floss or become more diligent with your oral care routine. This should only last a day or two, if your gums bleed any longer it’s probably caused by gum disease, which is reversible if treated correctly in the early stages. Consult your dentist as soon as you are able to and make use of specialised treatment oral care products, like Sunstar GUM Paroex mouthrinse and Paroex gel toothpaste. Understanding how diabetes and oral health are inter-connected will hopefully inspire you to aim for oral care excellence and better health and well-being. Sign up for our newsletter for regular news and updates on the latest trends in oral health. For over 30 years, Sunstar GUM has supported research and education on the relationship between diabetes and oral health, inspired by the company founder, who lived with diabetes. We thank Sunstar GUM for making this information available in order to help everyone live healthier with diabetes.